JDog Junk Removal and Hauling is your local junk removal team made up of Veterans and Military family members located right in Canyon Lake, Texas. 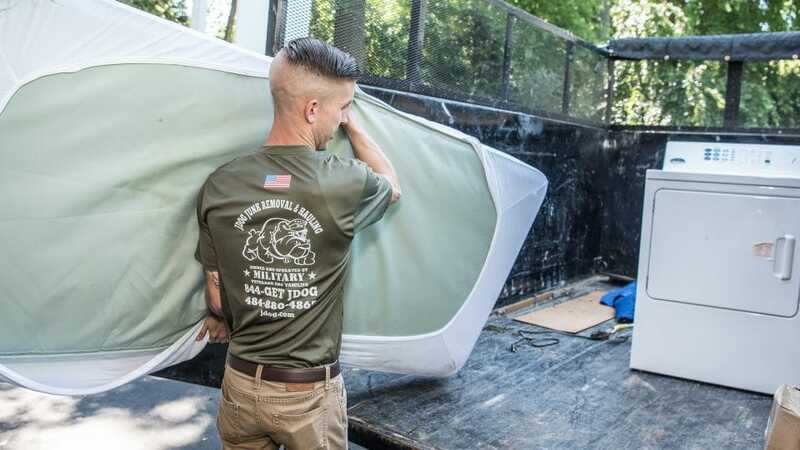 We are here for you when you’re making room in your garage for new camping or fishing gear, renovating your kitchen, and getting rid of an old mattress. We believe we have a responsibility to keep the Jewel community beautiful and environmentally friendly, so we donate and recycle 60% to 80% of what we haul to keep as much as out the landfill as possible. JDog Junk Removal & Hauling is ready to serve you with Respect, Integrity, and Trust—the same values we lived by in the Military. Give us a call today at 844-GET-JDOG.